Open to all CUPE members, and members of other unions, the CUPE Saskatchewan Aboriginal Conference seeks to build union activism with a focus on equality and rights for indigenous people in our workplaces and in our communities. Aboriginal Council Standing Committee: One Member for a two-year term. Executive Board of CUPE Saskatchewan: Aboriginal Member & Alternate for a two-year term. Contact your Local Union to approve sponsorship of your registration. Complete and submit the conference registration form with fee payment to CUPE Saskatchewan. Book your accommodation (if required). Refund policy: Full refund of registration until September 17, 2018. Refund minus $50 Administration Fee from September 18 – October 1, 2018. No refunds after October 1, 2018. 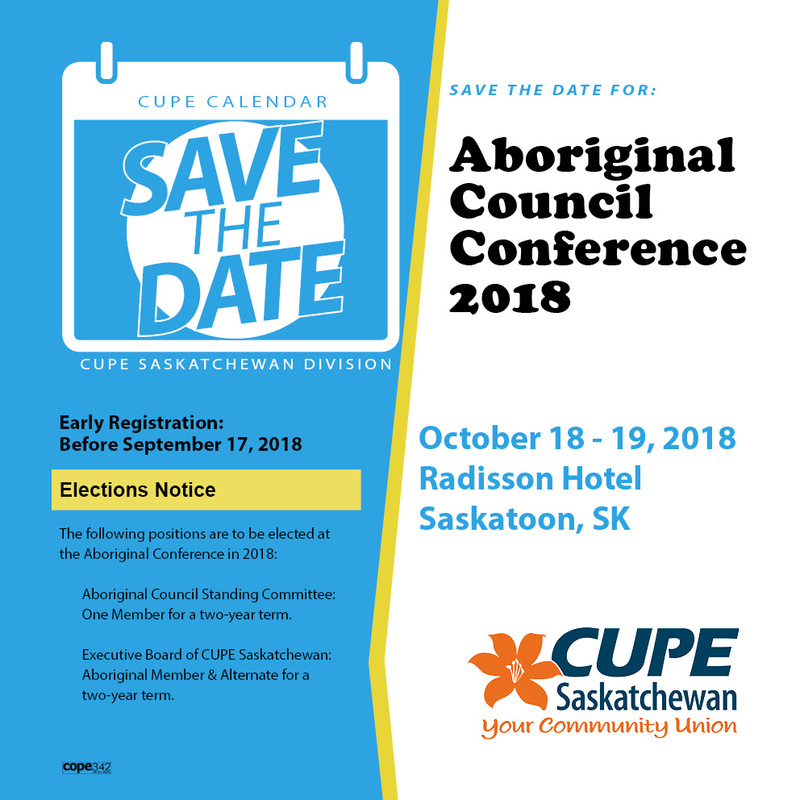 Accommodation is available at the CUPE Saskatchewan block book rate at the Radisson Hotel in Saskatoon, SK (405 20th Street East), the hotel where the conference will be held. Block booking deadline: September 17, 2018.